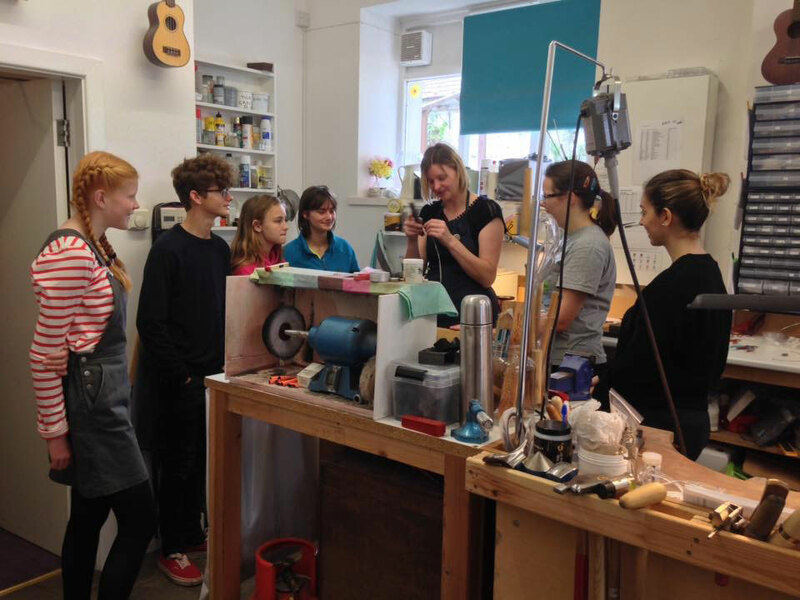 Galeri Caernarfon Cyf are seeking a Finance Manager (maternity cover) to start in August. The successful applicant will join the finance team to ensure that all of the company’s projects and activities are run smoothly and effectively. The closing date for applications: 12:00 (midday), 21 June. Interviews will be arranged for week commencing 1 July. Due to a private event, the Café Bar will be closed to the public on Saturday, 13.04.19. The cinema programme will not be affected, and the new kiosk in the cinema foyer will be serving hot/cold drinks and a range of sweets/snacks for the cinema. Galeri’s Art Space selection panel are due to meet soon to programme the 2021 exhibitions. To the attention of: rebecca.hardy-griffith@galericaernarfon.com before 23:59 on Sunday, 31.03.19. We have an opening here in Galeri for a member to join the Customer Care Team. The role entails box office duties, managing events as front of house manager and working in the busy café bar. All of the responsibilities will ensure that customers are given a consistent positive experience when visiting Galeri. To ensure that staff enjoy quality time with friends and family – Galeri’s opening days and hours will be changed accordingly during the festive period. You can still book online all day, every day during this period (but expect delays if you pay for postage during these dates). On behalf of all staff and board members at Galeri Caernarfon Cyf – THANK YOU for your continued support during 2018. It has been a historic year for us with the opening of the cinema in September, record attendances and hundreds of new customers visiting Galeri for the first time. Wishing you all a Merry Christmas, Happy New Year and we look forward to welcoming you back to Galeri in 2019. Due to a substantial increase in the number of visitors to Galeri, we have a vacancy for a member to join the team as a weekend receptionist/box office assistant. The ability to communicate effectively through the medium of Welsh is essential for this post. You can download the job description here (Welsh only) and the application form here. As a result of Galeri becoming an even busier centre since opening the new cinema screens – we have an opportunity for a new member to join the customer service team. Please note that the ability to communicate effectively through the medium of Welsh is essential for this post. 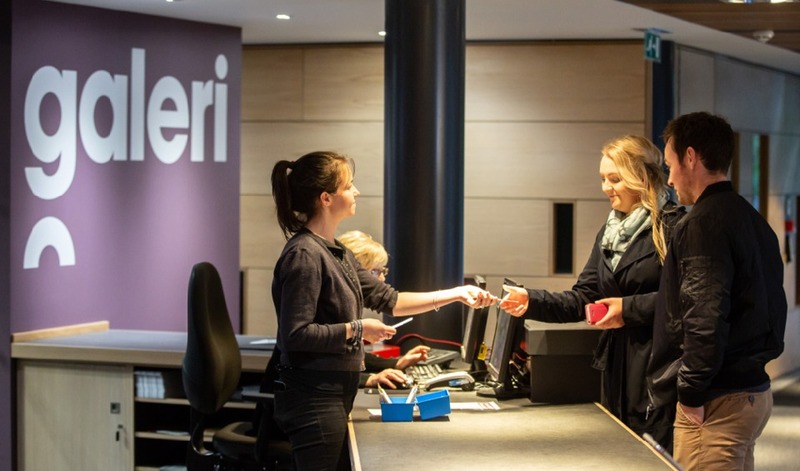 The Customer Service Team play a crucial role in the day to day running and operation of several aspects of work within Galeri – the box office, front of house and event management and effectively running the café-bar. Closing date: No date has been set. We strongly recommend sending your application as soon as possible. You can download th full job description (in Welsh) here. To be considered for this post, please complete and send the application form that can be downloaded here as well as your CV. 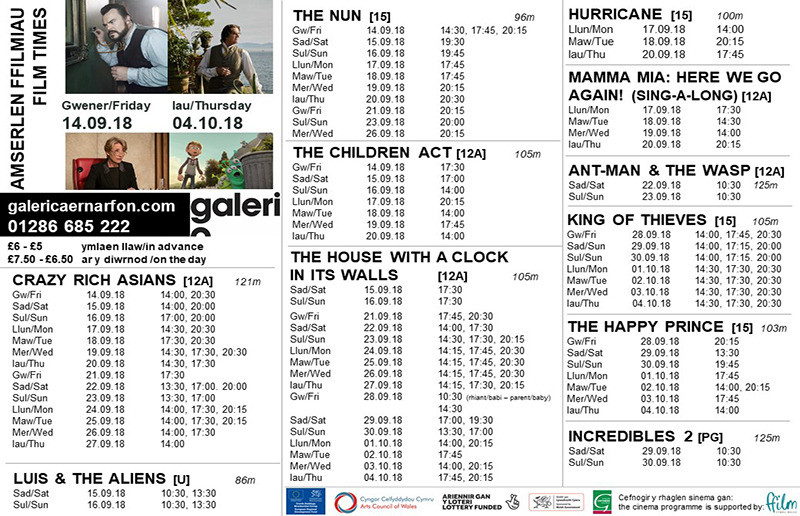 Since the opening the cinema screens here in Galeri, we have already welcomed over 2,500 people to see various films (this equates to over 10% of our annual target) in a space of just over 3 weeks and a half. Your support has been fantastic and it proves that there is a demand for such a facility here in Caernarfon. We strongly recommend that customers pre-book tickets in advance for two main reasons. Firstly, to save money by buying tickets at a cheaper rate than on the day; and secondly – to secure your seats (as customers now book a specific seat for a film). Unfortunately, there have been several occasions where films have sold out and customers have been turned away – so please pre-book. We also ask any customers who book a ticket for a 15 / 18 certified film to bring an ID/proof of age (whether a driving licence, Validate UK card, passport or copy of your birth certificate). The rules are not set by ourselves – this is the law – so we will not allow anyone who we believe are under age to attend a screening without a valid ID. With 12A certified films – a parent/responsible adult must accompany a child under the age of 12A. Further information can be found on the BBFC website by clicking here. 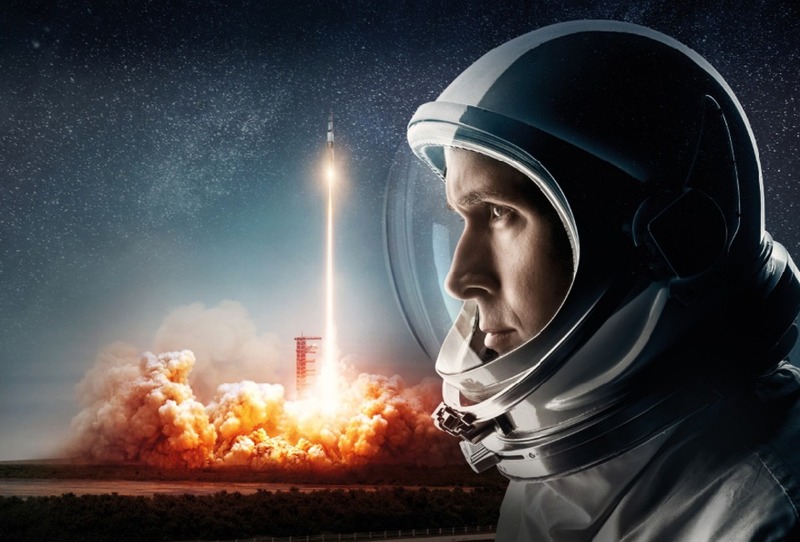 Please ensure that tickets are collected at least 10 minutes before the advertised film start time (the time listed on the website states the start time of the film and not the trailers). 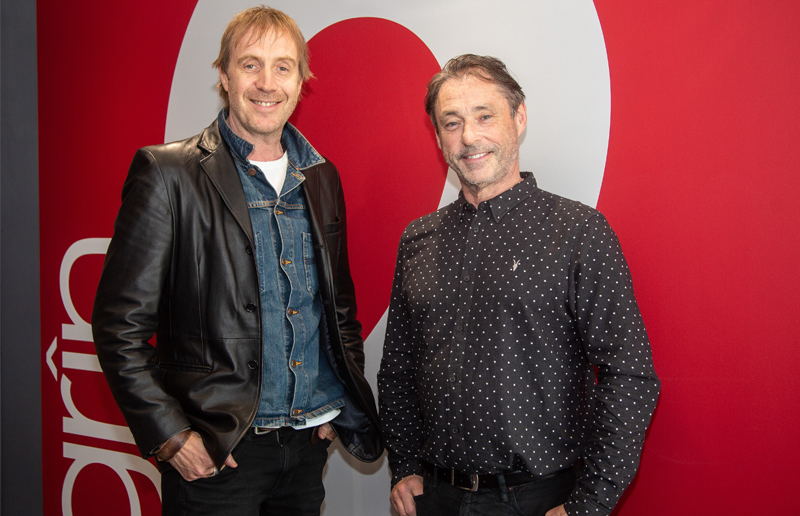 On Friday, September 21st – Galeri’s new extension was officially opened by the actor Rhys Ifans. We were delighted that Rhys accepted the invitation to join us and open this new facility. The opening of the two screens means that we can now run a full time cinema programme of the latest films in Caernarfon that will benefit a wide geographical area. The film programme can be found on this website – with tickets also available to buy online (tickets are cheaper in advance – pre-booking advisable). We look forward to welcoming you and for your feedback. We are delighted to confirm the cinema programme for the period from 14 September until 4 October. All films will start promptly on time as advertised. Door open around 30 minutes in advance with trailers/adverts running 15 minutes prior to the screening time. As most cinemas – customers can book their specific seat(s) for screenings. We would encourage customers to pre-book tickets in advance to secure your seat(s) and save on ticket prices. We also ask kindly if customers can ensure that they plan in advance to ensure enough time for parking/traffic and to collect your ticket(s) pre-film. To reserve a table in our Café Bar - booking is recommended by calling 01286 685 200. Galeri's OPEN Exhibition is open to artists working in any medium to present their work to be considered for the exhibition at Galeri between 9th November and 14th December 2018. Entrants can be students, professionals artists and artists with no formal training. 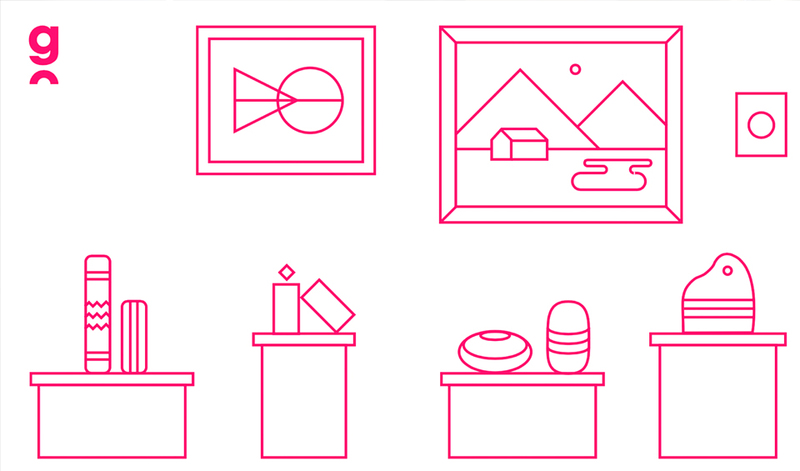 There are no restrictions regarding the medium of artwork (film, photography, portraits, craft, glass etc.) and there is no geographical or age restrictions. We have a new vacancy/apprentice opportunity as a lighting technician. The ability to communicate effectively through the medium of Welsh is essential for this position. We have a vacancy to join our customer service team. If you have the interest, passion and drive to maintain and improve the customer service offer in Galeri – we want to hear from you! This is a full time (40 hours per week) post where the ability to communicate effectively through the medium of Welsh is essential. To apply – please send the completed application form alongside your CV. 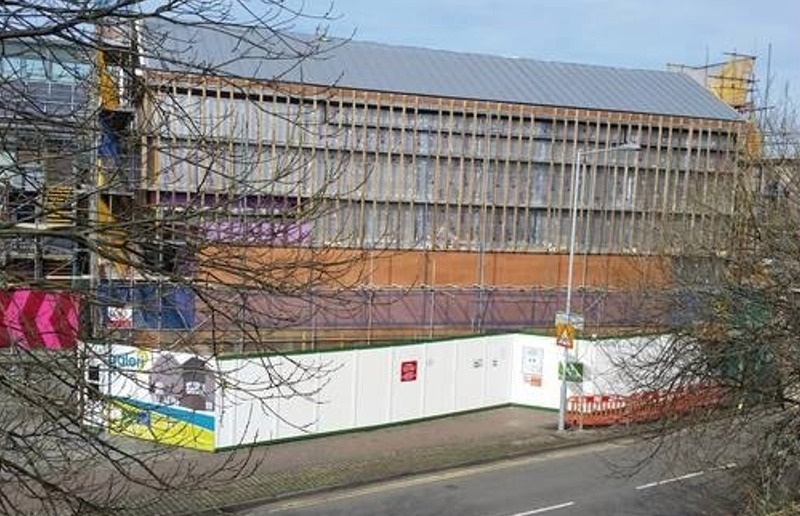 As we prepare to install the external cladding onto the new cinema, for health and safety reasons the public footpath/pavement (Balaclava Road side) will be closed for the foreseeable future until the work is complete. A diversions has been put in place, and everyone is welcome to walk through Galeri to/from the direction of Doc Fictoria. 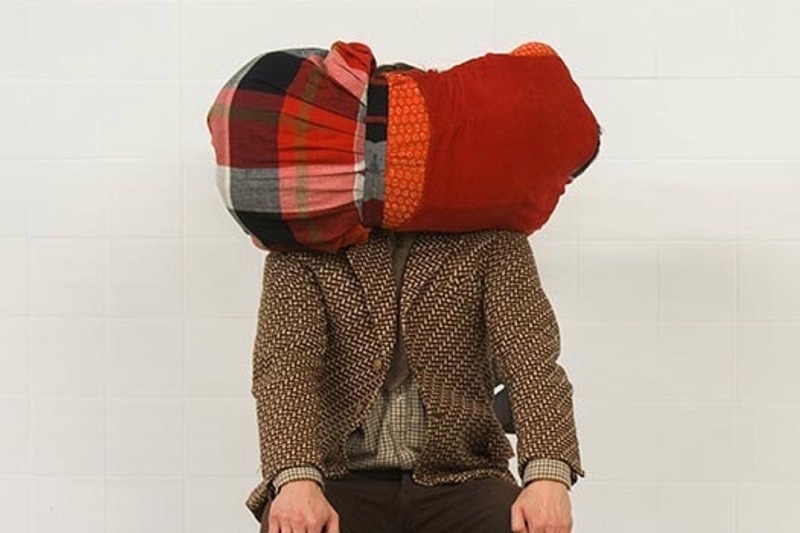 With further weather warnings in place for Friday, and no guarantees that Stifyn Parri, Athena or Trystan Llyr Griffiths can reach Galeri to perform - an early decision has been made to re-schedule both events. The Box Office team will be in touch with all ticket holder to arrange ticket transfer or refunds. As it stands, today’s events - TONIC and Lleuwen Steffan will be going ahead as planned. Please check our Facebook and Twitter pages for any updates. We are delighted to announce our January – April 20188 season brochure. As ever, please keep an eye out for any changes to the programme or for any additional events that may be added. Closing date for applications: 08.12.17. Due to the weather forecast and high-winds expected later today, Sbarc and Dawns i Bawb classes have been cancelled. 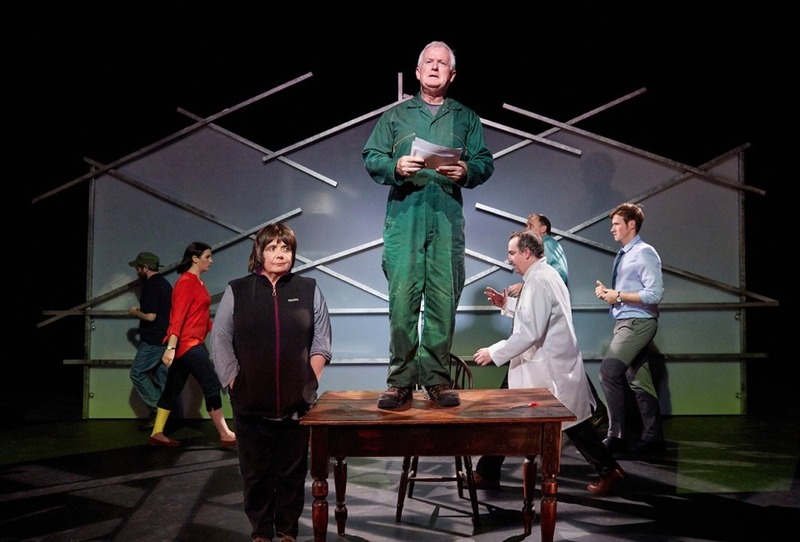 An additional 50 seats will be released in the balcony for Theatr Genedlaethol Cymru’s Hollti. Tickets (£12 - £10) go on sale at 10:00 on Wednesday (04.10.17). The tickets will be available from the Box Office by calling 01286 685 222 or by visiting in person. Unfortunately – the Sibrwd app will not be available to audience members sitting in the balcony. Tickets for all screenings available from the box office or online. 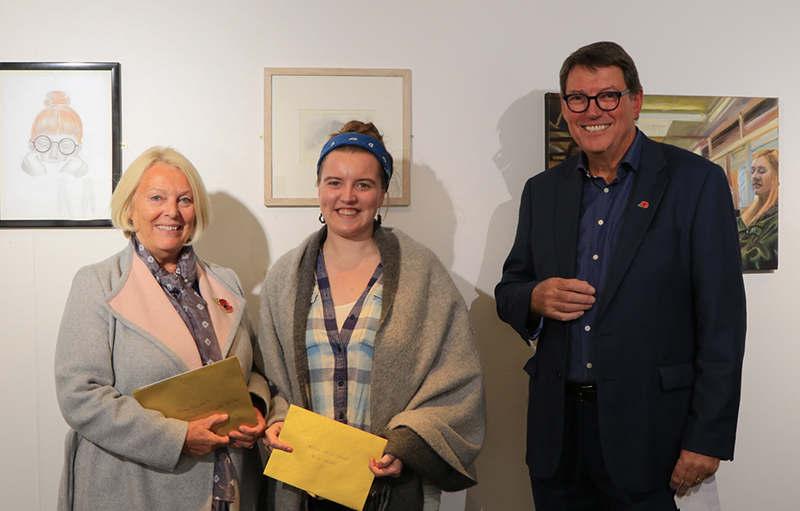 The official opening of Galeri’s 6th Open Exhibition took place on Sunday, 17 September. Since the inaugural open exhibition back in 2011, the number of applicants and the standard of work has continued to grow and improve. Not only is this exhibition an important feature in Galeri’s programme of events, by now this annual exhibition is key in the wider north Wales visual art calendar. This exhibition receives support and financial assistance by Gwyn and Mary Owen who ensure that this event returns year on year. This year, 85 artists from Wales and beyond applied to be part of the final exhibition, of which 24 were successfully selected by the independent selection panel. The People’s Choice Award public vote is open until 14:00 on Friday, 27 October. An announcement will be made on the winner at 18:00 on Galeri’s Facebook and Twitter accounts. Do you have what it takes to play a pivotal role in our development as a company? We’re seeking an enthusiastic member of staff to join the customer service team. Theatr Genedlaethol Cymru and Galeri are delighted to announce a free shuttle bus that will run from Anglesey to Galeri for the opening night of Hollti – on Thursday, 5th of October. To secure your seat on the bus (first come, first serve) – call 01286 685 222. The bus is free for anyone who has purchased a ticket in advance. *please note that the coach will be leaving promptly at the times advertised and will not wait for any latecomers. A pre-show talk will be held in Galeri’s bar at 19:00 with Hollti’s creative team, chaired by Catrin Jones Hughes. The drama will run from 19:30 – 21:00 with the coach making the return journey to Anglesey at around 21:15. This is a Welsh language production, with Wnglish language access via the Sibrwd app. Download the app (free) on your mobile or tablet in advance. Tickets are available online, from Galeri’s Box Office or by calling 01286 685 222. 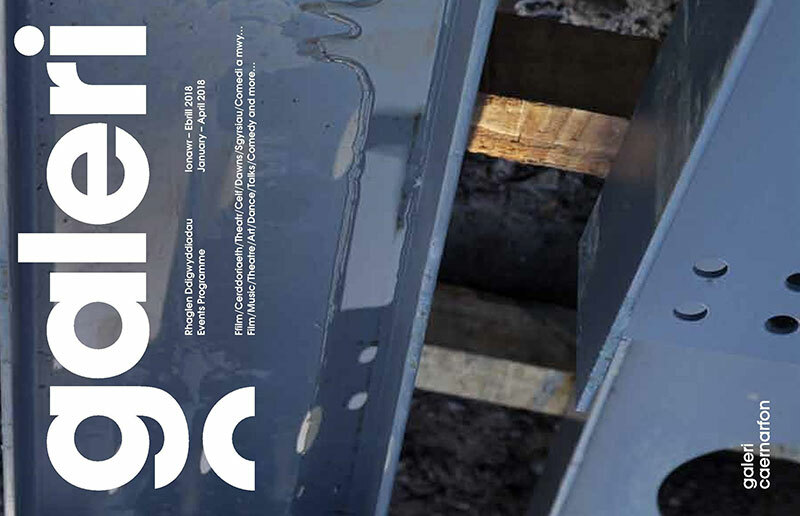 Our new season brochure for September – December are expected to arrive here in Galeri any day soon. If you’re in town, remember to grab your copy! The brochures will also be available to collect at the National Eisteddfod’s ‘Caffi’r Theatrau’ from Monday (7.8.17) onwards. Additional events (not included in the brochure) are expected to be announced. Due to essential work needing to be carried out for the development of Galeri 2, Galeri will be closing promptly at 9pm on Thursday 3rd of August. The CafeBar will therefore be closing at 8.30pm. Normal opening hours will resume on Friday 4th of August. Our annual Christmas Market will be held on Sunday, 19.11.17 between 10:00 and 16:00. Galeri Caernarfon are delighted to announce the appointment of Nici Beech as the new Artistic Director. The television executive producer and director, and former S4C commissioner, Nici is a familiar and hard-working member of the Caernarfon community – as one of the regular organisers of Noson 4a6 since 2004, Gŵyl Fwyd Caernarfon Food Festival and one of the founders of Gŵyl Arall. Nici will begin her new role in July. Work on building Galeri’s new 2 screen cinema will begin next week. Costing almost £4m, the development will see Caernarfon have the only full-time dedicated two screen cinema in the area, and the programme will include the latest releases. The new screens will also free up Galeri’s 394 seat main theatre – currently split between theatre and film to develop the artistic programme- and bring in additional income through private hires and conferences. 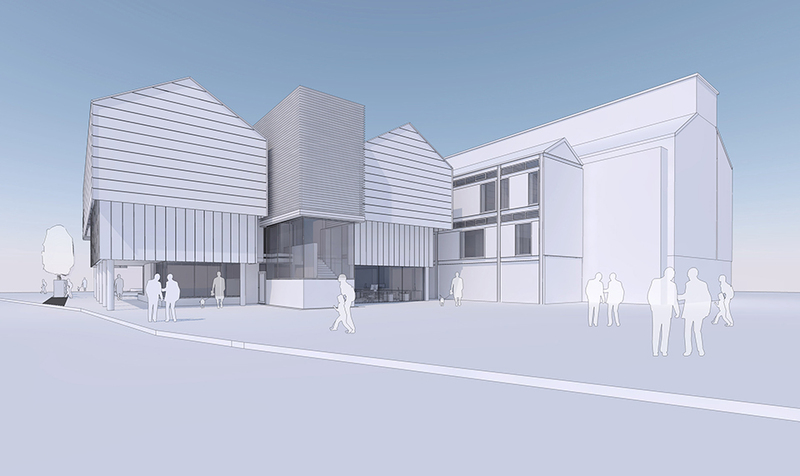 Designed by Galeri’s original award-winning architect and recent winner of Channel 4’s 2016 House of the Year – Richard Murphy, Llysfaen construction company RL Davies will undertake the building work. 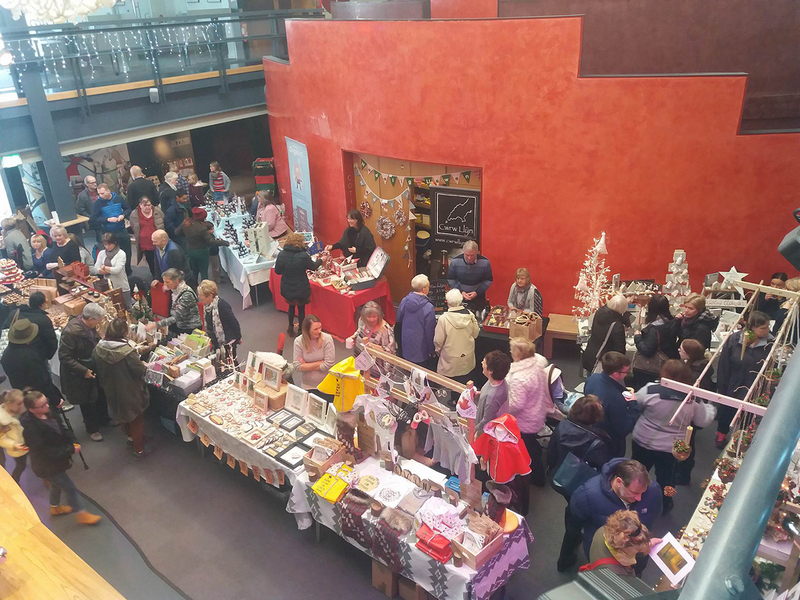 Galeri have received funding support from the Arts Council of Wales Lottery fund, the Welsh Government (Vibrant and Viable Places scheme) and the European Regional Development Fund. Unfortunately, Shan Cothi is suffering from flu. 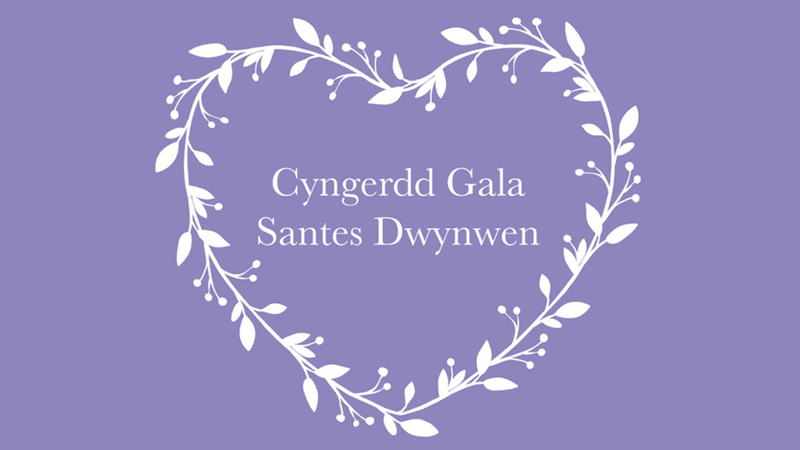 As a result, tonight’s Santes Dwynwen Gala Concert will not be going ahead. Galeri will try to re-schedule the concert at a later date. Galeri staff will contact all ticket holders to discuss further. Should you have any enquiries, please contact Galeri on 01286 685 222. In December, tender documents were published for a developer to carry out the work of building Galeri’s 2 screen purpose built cinema. We aim to start the work in February or March 2017 and open in 2018. The opening of the new cinema in Galeri will mean that Caernarfon would be the only multi-screen cinema provision in Gwynedd and Anglesey. The development will also free up Galeri’s 394 seat main theatre to develop the artistic programme as well as growing the commercial use of the venue for private hires, conferences and weddings. When opened, the 2 screen cinema programme will run 7 days a week and will include a variety of ‘on release’ titles, independent films and regular themed screenings. Our season brochure for January – April 2017 will arrive in Galeri and to everyone on our mailing list over the coming weeks. 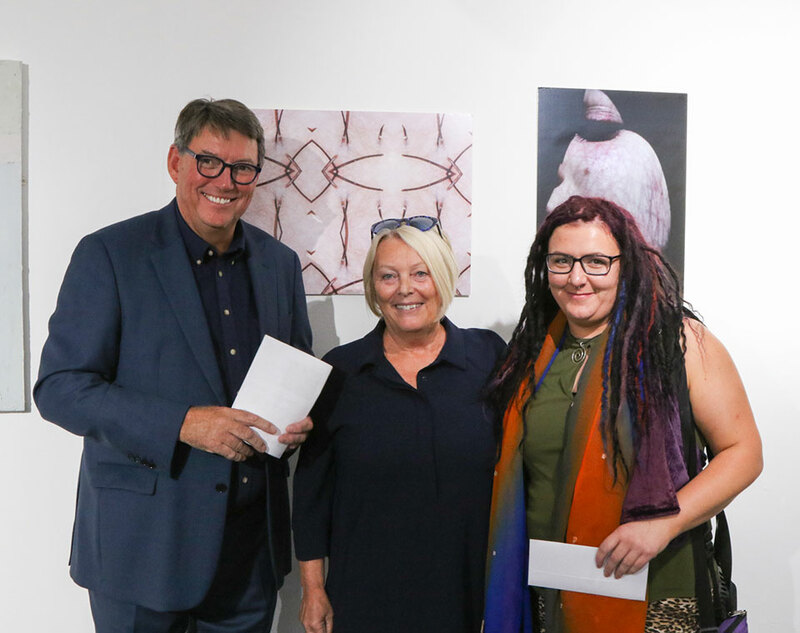 Galeri wish to thank all entrants for the exhibition and congratulate all finalists and winners. The 2017 Open application forms are now available and sponsors Gwyn and Mary Owen have increased the cash prizes for the competition. 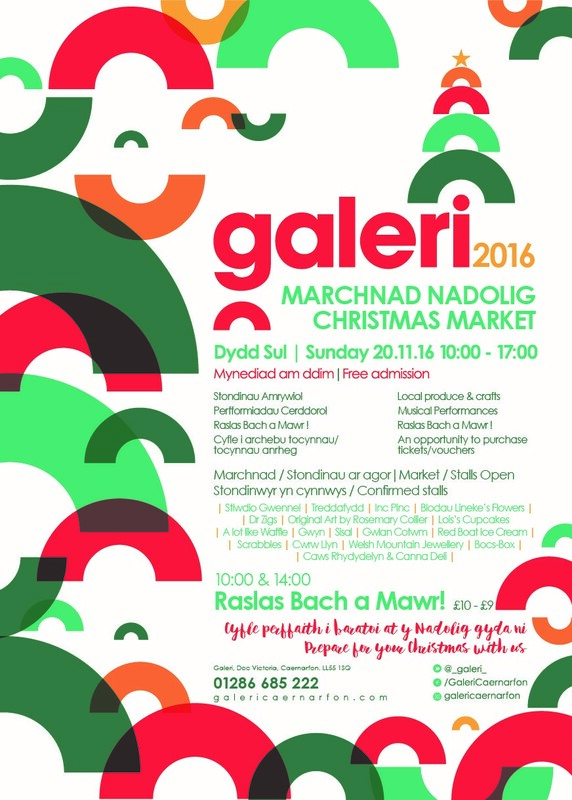 Galeri’s annual Christmas Market will take place on Sunday, 20 November (10:00 – 16:00). The market offers a range of gifts from local suppliers. Click here to see the poster and details of the stalls who will be in Galeri. The box office will be open from 09:30 – 16:00 should you wish to buy tickets or gift vouchers. The bar will be open later on evenings when we have events programmed. Unfortunately, the first Sgriblo session of the season (17.09.16) has been cancelled. Remember that the 'Enormous Roald Dahl Weekend' takes place on Saturday, 17.09.16 with creative and fun activities for children and families inspired by the works of Roald Dahl. As part of the 'Gwenfflam Caernarfon Alight' that will take over Caernarfon Castle later in the month, on Friday, 30 September a torch lit procession will leave Galeri at 19:00. The procession will leave Galeri at 19:00 towards the Slate Quay, led by 'Mr Wilson's Second Liners'. To ensure that the procession is organised and run smoothly, we are seeking 80 volunteers to help us by carrying fire torches and stewarding. All volunteers must be 16 years old or older and available between 17:00 - 20:00 on the Friday. There is also an open invitation for anyone who would like to assist children and young people of Sbarc-Galeri arts project in creating lanterns. The sessions are held weekly on Mondays and Wednesdays leading up to the event. This is an opportunity to work on a large-scale event in Caernarfon and with the award winning Walk the Plank company to celebrate Wales' Year of Adventure 2016. Because of the procession, there will not be a performance between 19:00 - 20:00 in the castle on Friday, 30.09.16. There has been a change to the published cinema programme for September. 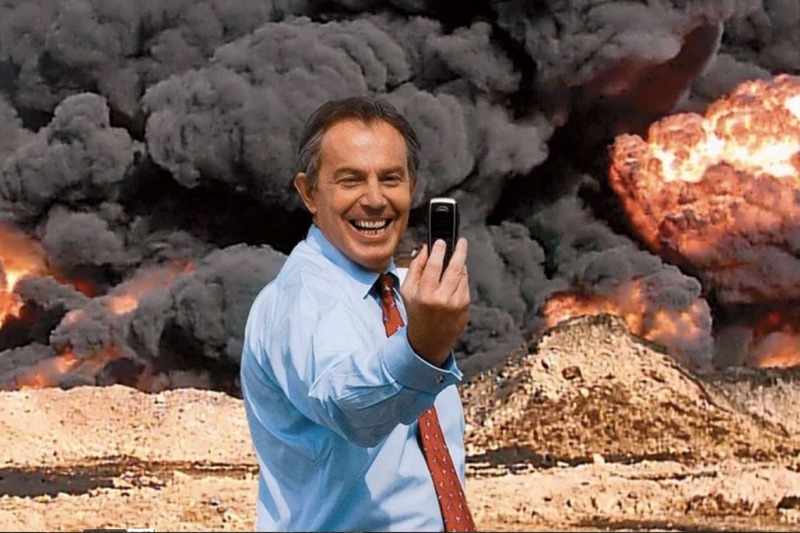 The ‘Sgrin am Sgrin’ (£1 a ticket) film will now be THE KILLING$ OF TONY BLAIR . Tickets are available from the Box Office or by calling 01286 685 222. There is a warm welcome to all who wish to attend the official opening of the ‘Perthyn’ exhibition by Cefyn Burgess in the Art Space on Sunday, 14.08.16 at 14:00. Dafydd Wigley will officially open the exhibition, and Cefyn will hold a talk at 15:00 to discuss the work/exhibition and the Perthyn project. Due to the re-scheduling of the 2016 Open exhibition selection panel meeting, we are able to extend the closing date for entries until 16:00, Sunday, 31.07.16. Should you require any additional information or discuss the exhibition, contact Lisa Taylor on 01286 685 208. With regret, we have been informed that due to injury – Light, Ladd & Emberton have no option but to cancel the Wales tour of Caitlin. Galeri’s box office staff will contact all customers who had already purchased their tickets to arrange refunds. We apologise for any inconvenience, and wish Eddie Ladd a speedy recovery. We hope to welcome the company back to Galeri in the future to perform Caitlin. Keep an eye out for any news/updates. The development of a dedicated 2 screen cinema is a step closer following a planning permission approval by Gwynedd Council on Monday, 16 May. Over the next months, we will be completing the detailed design of the internal elements of the design, finalise the funding package and invite companies to tender for the building contract. Our aim is to be on site in January 2017 and to open in January 2018.